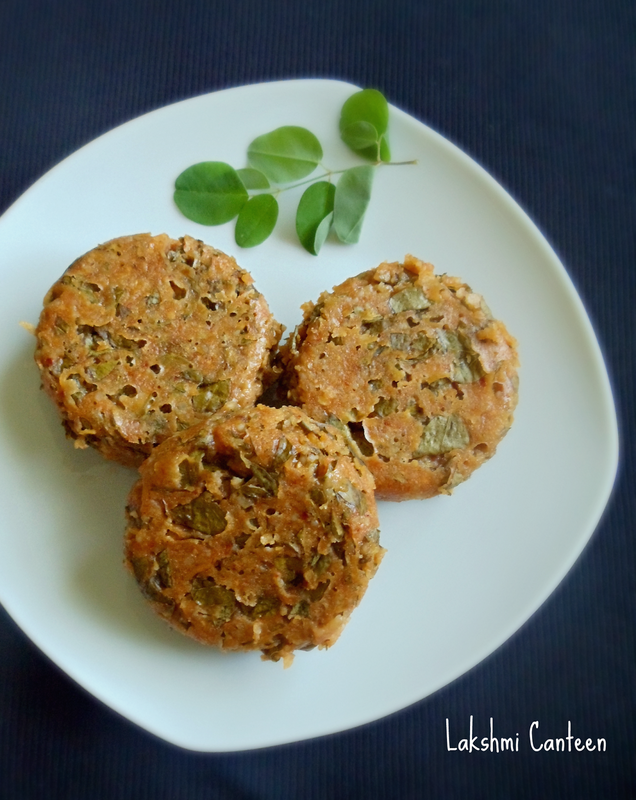 Mashinga Palle Muddo is a popular Konkani Spicy Idli. Generally Idli is made for breakfast. 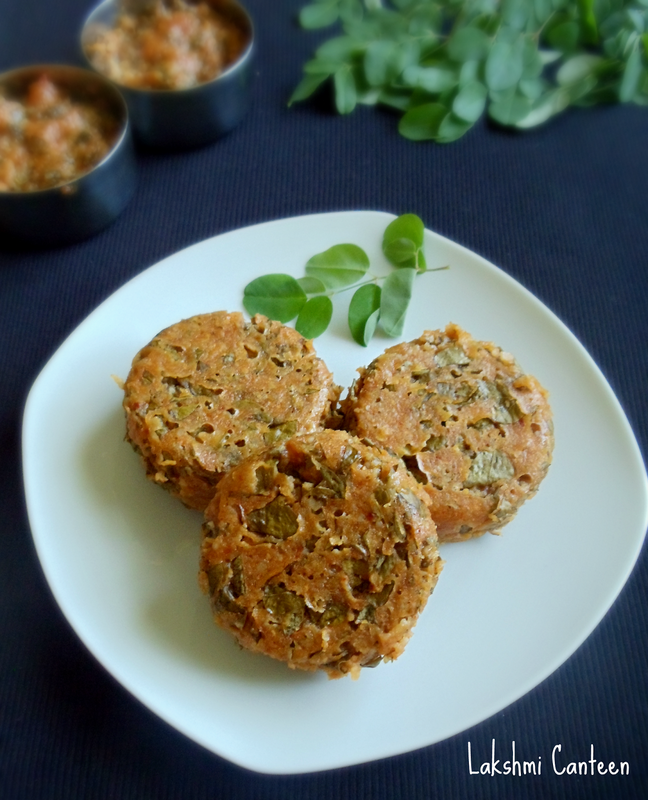 This variety of idli is spicy, non-fermented and served for lunch or dinner. They taste really good when steamed in banana leaf pockets. I am a great fan of these idlis and my mother makes the best. 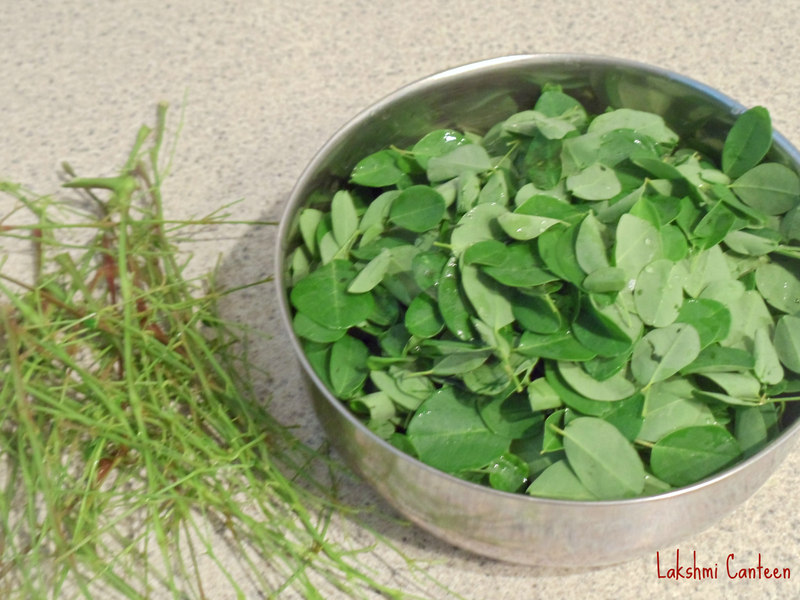 I love drumstick leaves (we call it mashinga pallo). It is not available in the place we live. So I requested my mother to make these idlis during my recent trip to India. I really enjoyed eating them. Few days back I was really surprised to find these leaves in a local Indian grocery store. So picked two big bunches and decided to make these idlis. 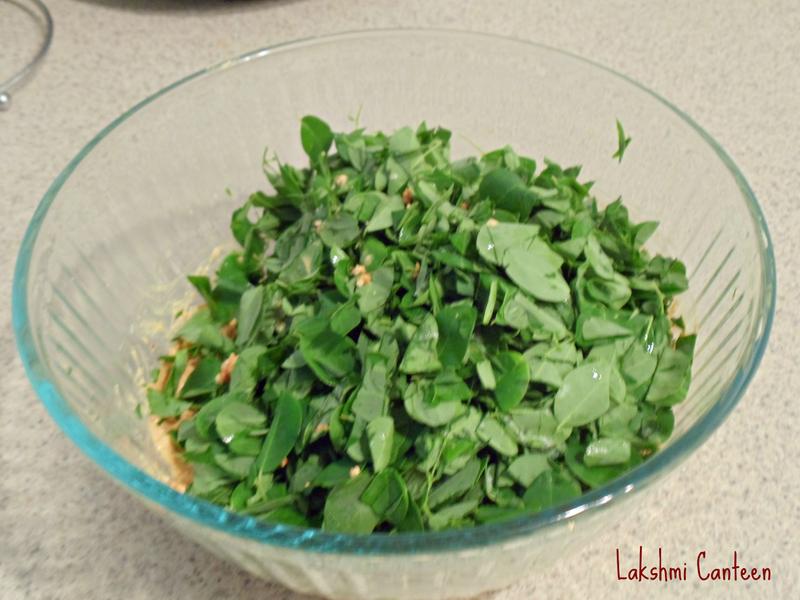 Do try making this if you can lay your hands on drumstick leaves. 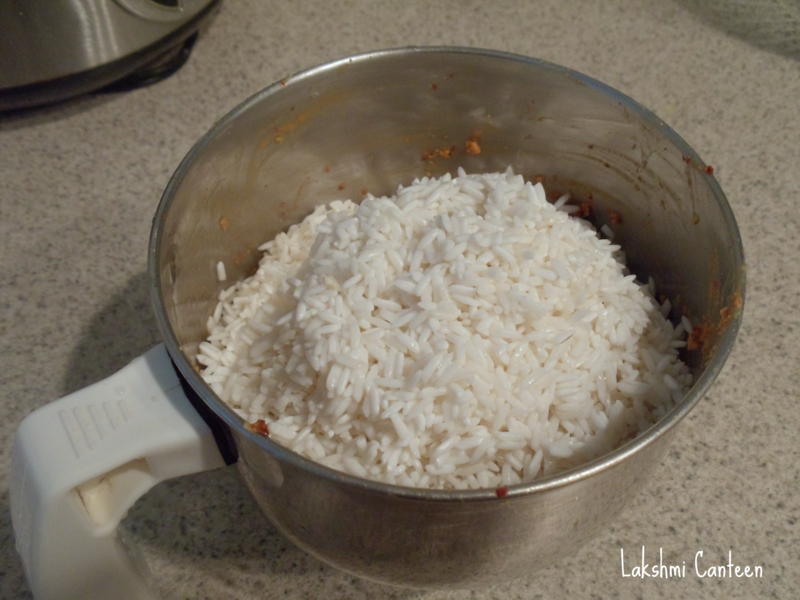 Soak the rice for two hours. While it is soaking, wash the leaves and remove all the leaves from the tough stalk. Then give a rough chop. 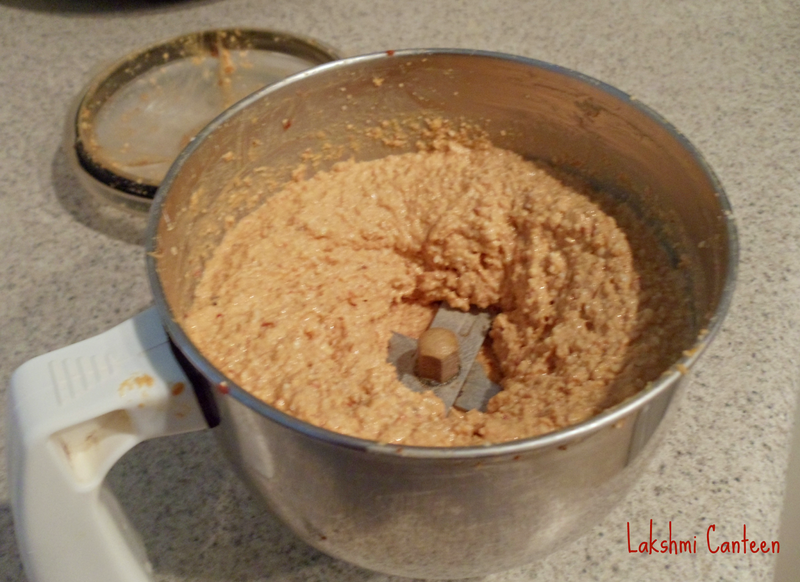 The mixture should be firm, in order to get firm dumplings. 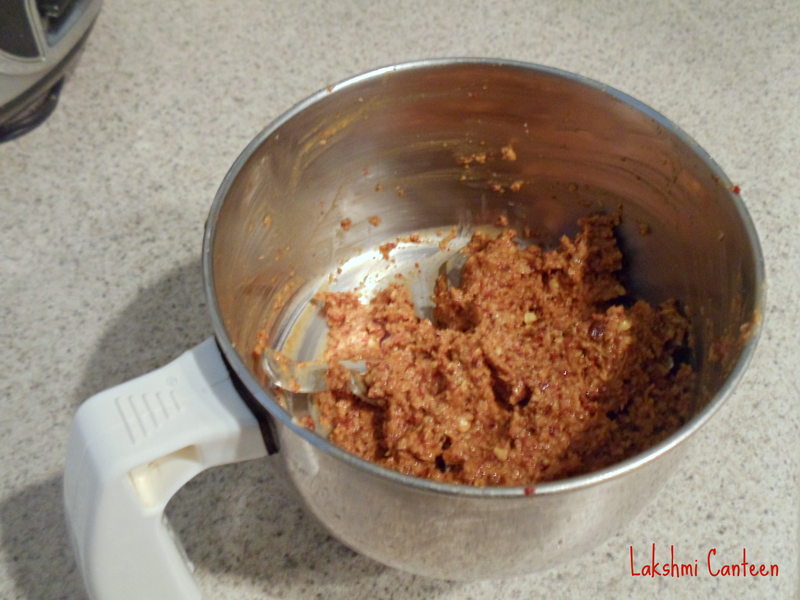 Transfer this mixture to a bowl. 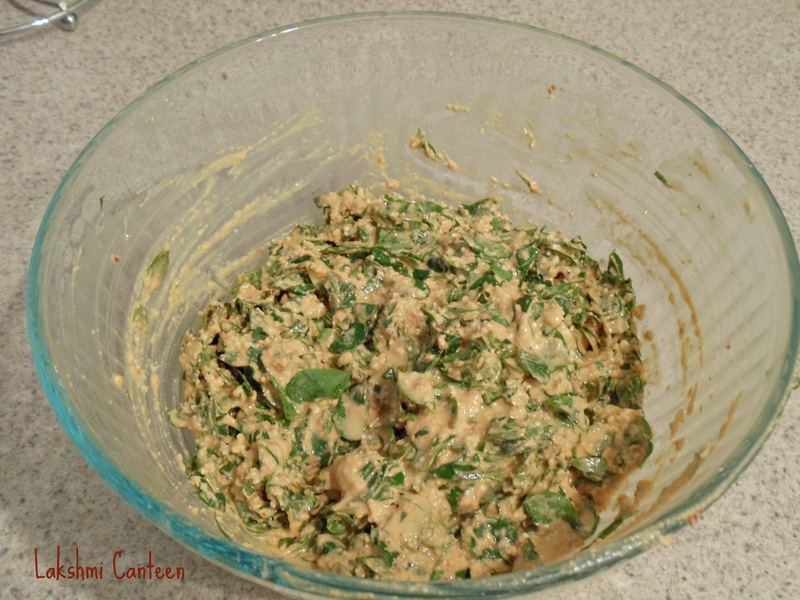 To this add drumstick leaves, salt to taste. 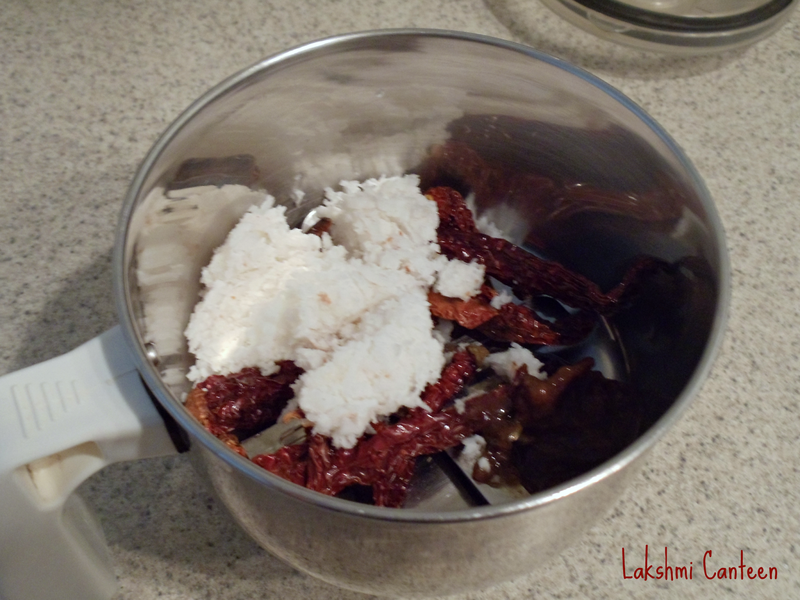 Now grease the idli moulds and fill the mixture in it. If using banana leaves, please refer this post . 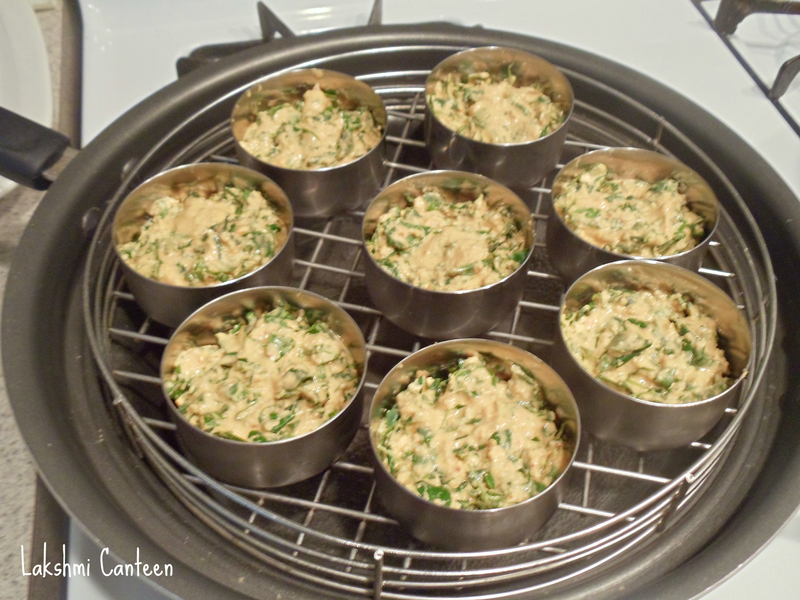 Steam them in a steamer for 20- 25 minutes. 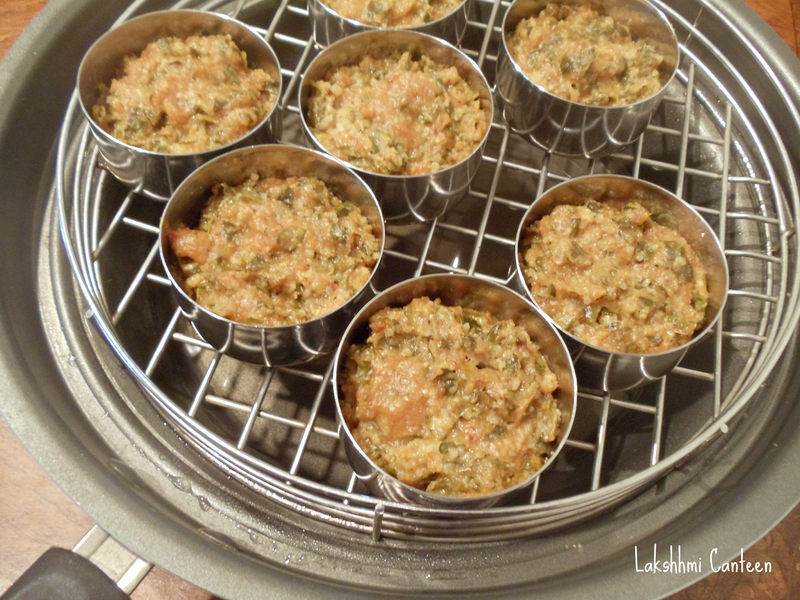 Allow the idlis to cool for 5 minutes. Then remove from the mould with the help of a spoon. 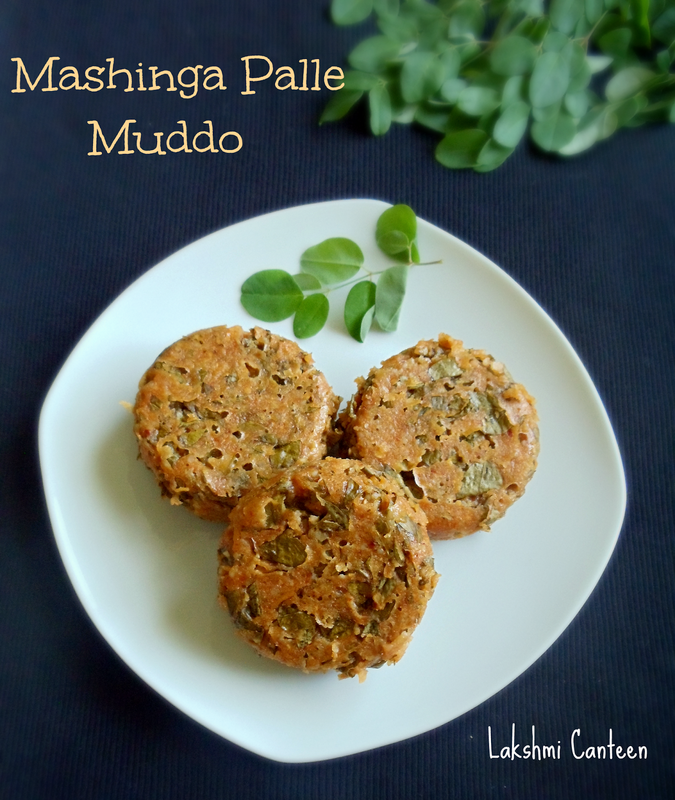 Mashinga Palle Muddo is ready! !